Hey Wes, we are focusing on 2014--2015 Regal LTG for now, but we'll open it up to more model years after this first round. TRIFECTA Exclusive Driver Selectable Vehicle Modes (DSVM) One of the earliest exclusive TRIFECTA product features is DSVM, formerly known as Select-A-Tune (SAT). Taking root in the days of the first 2.0L turbo DI engine GM built (RPO: LNF), SAT was a feature designed to give the driver dynamic control over the vehicle's power output. This feature was a very popular distinguishing feature of the TRIFECTA calibration. Over time it evolved into DSVM by name, and has been implemented in most vehicles that TRIFECTA offers a calibration for. DSVM and SAT are exclusive because they rely on the specific software that doesn't exist in the OE software. Some vehicles have OE DSVM-like capabilities, such as the 2014-2019 Chevrolet Corvette, but many other vehicles do not. Buick Regal GS and Sport buttons TRIFECTA has always been interested in whether either (or both) the GS and/or Sport buttons found in the Buick Regal could be tapped into to change the engine's dynamics on the fly. After some amount of research we determined that these buttons can in fact be used to select alternate automatic transmission shift profiles, but selecting alternate performance envelopes and pedal response maps seemed to not be possible with the OE software. Bringing DSVM to your Buick Regal GS and Sport button TRIFECTA is proud to announce we are opening a limited beta program for existing and future TRIFECTA customers that would be interested in being able to change the power and drivability dynamic of their Buick Regal on the fly with the GS and/or Sport button! If you have a 2014 Buick Regal, or a 2015 Buick Regal with either (or both) the GS and/or Sport button, and you would like to try this new feature, please contact us via our support system and request the “Buick Regal DSVM Beta test” and let us know which button(s) your vehicle is equipped with! Our engineers will put together a beta test calibration for you, and post it to your download page. After that you can install it, and provide feedback on how you like the drive modes! Contact Us! TRIFECTA presents: 2018--Present Buick Regal Sportback / Avenir / TourX Performance Calibration! Background A TRIFECTA Chevrolet Equinox calibration customer of about a year contacted us about his other car, a Chevrolet Cruze which was tuned by another company. He stated he was having issues with it going into “limp mode” under various conditions and setting various diagnostic trouble codes (DTCs). After some discussion, we learned he was within a few hours' drive of one of our R&D centers, so we offered to investigate the issue for him at no charge, as a courtesy. Full Vehicle Inspection One of the concerns we have when challenges like this arise is the breadth of issues that might have arisen on the vehicle. This is a vehicle that's over 5 years old, and has around 100,000 miles on it. It's been modified, and has unusual issues with it. So, we told the gentleman that the first thing we were going to do is perform a full inspection on the car, on a lift to look for anything that might be causing or contributing to the issues and if we had any reservations based on what we discovered whatsoever, we may not be able to proceed. This car turned out to be in excellent condition for its vintage. The only issue we found was a slight oil leak on the oil pan, but overall it was in very good condition and had been well maintained. Data Collection After passing the inspection, we put the car on the chassis dyno to observe how the current tune on it was running and what was going on with it, but before doing so, we checked to see how the wastegate actuator was set up. This aftermarket part is adjustable, and if adjusted incorrectly for how the calibration is written, it can cause boost control errors (overboost or underboost) which generally leads to “limp mode”. After confirming the wastegate actuator required no adjustment, we proceeded with studying the vehicle's operation on the dyno. Here's the full dyno pull: Our general consensus was this is a decent tune – power delivery was smooth, good AFRs, no knocking, etc. However, we discovered that the ECM was closing the throttle blade because the turbo was generating more boost than it was supposed to (overboost). This caused a power drop (see red circle). After further study of the data from the vehicle under various operating conditions, we found it had a general overboosting problem and suspect this was at least a contributing factor to the “limp mode” issues the vehicle owner had experienced. Starting from Scratch Our commitment to the vehicle owner was that, if both, after the vehicle passed inspection, and after reviewing the data we felt it was something we might be able to fix in the calibration, we would start over from scratch with the TRIFECTA production calibration for this vehicle, work to confirm proper boost control with the wastegate actuator, and then see where we could go with it power-wise with our margin of safety and reliability in mind. Here's what the production TRIFECTA calibration vs the tune it came in with (red vs blue) did with the wastegate actuator settings incorporated, but the power level settings set for the stock wastegate actuator: The TRIFECTA production tune carried the power further into the power band at higher RPM, delivering an almost 8 horsepower at the wheel (whp) gain, but had lower torque and horsepower output because it was calibrated for the OE wastegate actuator. Dialing it In Remember, the original issue the vehicle owner had wasn't with the power. It was with the fact it was going into “limp mode”, so our goal wasn't immediately to shoot for the moon on power. Rather, it was to determine if we could get the boost control accurate enough so we could be sure the vehicle would behave correctly if everything is in working order. We had previously spent a solid week on the dyno (and much more testing under regular driving conditions) with our own vehicles to develop TRIFECTA support for the Forge wastegate actuator with the yellow spring (and its derivatives), so we had a proven calibration to start with. There had been some concern that the wastegate flow characteristics on this vehicle weren't entirely the same as some of the other vehicles with the same engine. As such, we did notice some subtle overboosting at 50% pedal, on the dyno, even with our wastegate actuator settings: The green line (actual boost pressure) should always be below, but near the blue line (desired boost pressure). As you can see here, the green line was slightly above the blue (indicating an overboost condition), particularly near the end, just prior to the blue and red (manifold absolute pressure) lines drop off, which is where the pedal was released. The overboost is only about 13kPa here, but given overboosting was a primary concern for the vehicle, we made some adjustments to get the green line below the blue one (this is a full dyno pull): There is still a very slight overboosting on spool up, but that is considered acceptable by the ECM. After that, you can see the green line stays right on or slightly below the blue line now. No more overboost! The Dyno is One Thing, the Street is Another A chassis dyno is an incredibly useful tuning tool, and the dynos that have the eddy current loading system are even more invaluable for simulating various load conditions. However, street testing is crucial, and with an issue like this where the vehicle “limps out” under various conditions, the street testing is, in reality, even more important. So, we took the car for an hour long drive on the street. Residential areas, highways, downhill, uphill, corners, driving lightly, driving aggressively, winding the RPMs out, lugging the engine, everything we could to test out our boost control settings. Not once did we encounter a “limp mode” event. Having declared the wastegate settings correct, we moved on to the next step! Shooting for the Moon Now for the fun part! By now we were convinced the boost control was correct on the car, so we decided to see what we could do power-wise with the setup. By making some power limit adjustments that could take advantage of the upgraded wastegate actuator installed on the car, we made some really nice improvements in power over both the tune it arrived with and the TRIFECTA production calibration! See here: As a refresher, blue line is the tune the car came in with, red was the TRIFECTA production calibration, and green is the TRIFECTA production calibration plus tweaks for the upgraded wastegate actuator (which the tune the car came in with had also). There were improvements in every part of the power band, with the various hightlights: Spool up RPM (2000-3200 RPM): +10 lb/ft torque up to +22 lb/ft torque Peak Torque RPM (3650 RPM): +16 lb/ft torque Peak Horsepower RPM (5700 RPM): +22 horspower Happy Customer, Good Times The vehicle owner was very pleased with not only the power gains, but also that we had simultaneously resolved the “limp mode” issues to a large degree and introduced a new quality of refinement and smoothness to the way the vehicle drives on the street. Time will tell if it's truly resolved, but we will continue to actively follow up with the vehicle owner and collect additional data as needed. This was also a rare opportunity to meet a member of the Cruze car enthusiast community we consider ourselves proud to serve. We ripped around in the car, had lunch, traded ideas for car modding, joked about life in the automotive business, and just plain old had a good time. Continuous Improvement We regard every opportunity we are privileged with to work with customers directly an opportunity to improve our knowledge, experience and calibration techiques. Thanks to the owner of this Cruze, and his familyfor taking the time to be involved in this project, we learned some things that we believe will lead to improvements in our production level products as well. Namely, we believe some (likely not all) of the gains we found as we optimized the torque and horsepower bands for the upgraded wastegate actuator may be possible to a certain extent on the OE wastegate actuator as well. And we learned how some of the wastegate ports can flow differently from one turbo assembly to another. Everything we learn along the way becomes part of the product updates we release in the future, to our customer base. 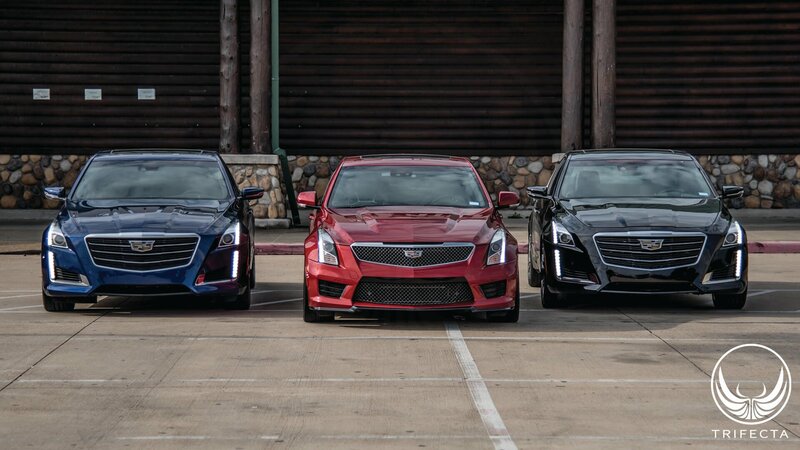 TRIFECTA: A new age of Cruze tuning starts today. Introducing our 2.0T (LTG) engine swapped 2017 "Cruze SS" hatch. Hey @Gun3214, This is an in-house development project designed to showcase what can be done with the Cruze, but also a learning exercise for us as there were many engineering and calibration challenges that needed to be solved along the way. As with any hardware project we undertake, we may always consider bringing a big project to market if there were sufficient demand for it! The LTG Engine Introduced in 2013 with the then-new Cadillac ATS, and also in the “Gen 8” Chevrolet Malibu, the “clean sheet” redesign of GM's “large” 4 cylinder turbocharged engine, the LTG engine was one of the most exciting developments to come along from GM! The LTG engine basically shares nothing in common with the outgoing LDK / LHU 2.0L turbocharged engine. It's so radically different, in fact, that the engineers changed the direction of the head flow on the LTG as compared to the LDK/LHU. LNF Engine in Cobalt SS On the LTG engine (in a front-wheel-drive application), the intake ports face the firewall, and the turbocharger faces the radiator. This is “backwards” from the flow of the LDK/LHU. In our opinion, this decision makes sense, because the turbocharger can benefit from airflow from the front of the vehicle in this configuration (ironically though, the LTG's successor, the LSY engine has reversed the head flow back to the same configuration as the LDK / LHU). LTG Engine in Camaro Aftermarket Development The unfortunate part about a “clean sheet” redesign is it frequently antiquates most or all investments the aftermarket might have made in similar engines. For example, by the time the LTG arrived and the LDK / LHU was beginning to be phased out in production vehicles, there was an extensive aftermarket parts market for these earlier engines (particularly the LNF, of which the LDK / LHU derives from). But almost none of those parts could be used to modify an LTG engine. Fastforward six and a half years from the time the LTG vehicles arrived on the market, and now there's quite a variety of parts in the aftermarket! Everything from intercoolers, intake systems, to turbocharger upgrades, and fueling upgrades (injectors, pumps, etc. ), and it's shaping up to be a very exciting time for the LTG! Big Turbo TRIFECTA has been working on a Borg Warner EFR 7670 swap for the RWD Alpha chassis vehicles for some time. The most recent official dyno numbers we've seen on a 2017 Camaro with the 8sp automatic transmission is about 470WHP, but unofficially we've seen as high as 490WHP, on 92 octane pump gas. Big Turbo Camaro on the dyno This swap kit includes an integrated exhaust manifold that is one piece, from cylinder head, to turbocharger turbine. The exhaust side is located to OE coordinates, and the exhaust flange is the same as the OE LTG turbo exhaust flange. Existing exhaust components can be used with this swap kit. Factory turbo vs EFR7670 turbo The swap kit retains the electronically controlled bypass valve, and features a high pressure integrated wastegate. At this power level, we are using aftermarket camshafts with a “fuel pump lobe” to stretch the capacity of the OE high pressure DI (direct injection) pump. How about some E85? Any guesses on where the power will go with E85? We've installed upgraded fuel system components to help support the additional volume of fuel we'll need to run E85, maybe we can reach 550WHP, or maybe even 600WHP! Upgraded High Pressure Fuel Pump Stay tuned! “Canned” tuning defined The clearest example of a “canned” tune is the off-the-shelf handheld programmer that you can buy at, say, the local autoparts store. This is a device that contains a pre-written tune for a vehicle (or many vehicles). Basically, you plug it in, the programmer reads out your OE calibration, makes changes to it, then writes (flashes) it back to the vehicle. In some cases, you may have limited options for adjustment, like to adjust the speedometer calibration for different sized tires. This type of tuning is generally designed for stock vehicles, or vehicles that have modifications that are compatible with the OE calibration. Benefits: 1. Easy to use 2. Low cost 3. Able to make limited adjustments 4. Great for “casual” tuning customers that want a performance boost without a bunch of hassle Drawbacks: 1. Can't support major modifications out of the box** 2. Tuning is generally more conservative because of vehicle to vehicle variances 3. The engineers that developed the calibrations may have more generalized tuning expertise 4. Little recourse if the vehicle doesn't operate properly for some reason “Canned” tunes are generally considered “mass market” in that they appeal to a wide variety of customers. They are generally less expensive than “customized” tuning, and easy to install by the end customer. However, they are largely for stock or lightly modified vehicles (e.g. you're unlikely to find an off-the-shelf programmer that has built in support for an aftermarket cam in your Corvette). In designing a “canned” tune, one has to consider the range and condition of vehicles it might be run on, and this means the tuning “aggression” may be lower. Calibration engineers that develop these calibrations may have a more general set of tuning skill as opposed to expertise in a specific vehicle. Lastly, what do you do if the vehicle doesn't run right, or has a problem? About the most you can do is uninstall the programmer and return it for a refund or sell it to someone else. ** - some of the programmers on the market can also receive customized tuning from network tuners “Customized” tuning defined “Customized” tuning, on the other hand, involves the iterative process of making tuning changes, collecting data (via “datalogging”, wideband, dyno, etc. ), and then making further adjustments until the calibration is deemed “complete”. This process involves the use of commercially available calibration software to make the iterative changes. The process is executed either by an end customer with tuning expertise or by enlisting the services of a “tuner”. Benefits: 1. Capable of supporting almost any modification the tuner has expertise in 2. Tune can be “individualized”, or “dialed in” for a specific vehicle in a specific locale 3. Higher level of customization is possible (virtually any parameter can be customized) 4. Comprehensive performance data can be available Drawbacks: 1. More expensive (up to 4-5 times), more time consuming, may need “retuning” later 2. No common standard of quality in the end product 3. Limited by the capabilities of the software being used 4. Tuning process may include elements that aren't understood by the tuner The “customized” tuning process generally happens one of a few ways. One way is a customer brings a vehicle to a performance shop for a “dyno tune”. Another way is a customer meets up with someone locally who has the tuning software. The third common scenario is “remote custom tuning” where the customer works with a tuner in a remote location, generally over the internet to go through the iterative tuning process. Most “heavy modifications” like forced induction conversions (e.g. supercharger or turbocharger kits), camshaft changes, or other engine internal changes require extensive recalibration in order for the vehicle to operate properly. Many of the larger forced induction kit manufacturers include some sort of calibration for the kit (and in some cases it may even carry a CARB EO number). A performance shop may install the kit, the calibration, then “dial it in” as needed. In other cases the performance shop may have to tune the kit from scratch, starting with the OE calibration which can be time consuming. In almost every case, with “customized” tuning, the tuner has greater access to tuning customization because in theory any parameter can be modified with the software. With an off-the-shelf programmer, for instance, you might be able increase the transmission shift firmness in a general way, but with a “customized” tune you can be more specific and adjust the shift firmness only on the 2-3 shift at part throttle. And, because the “customized” tuning process relies on iterations of data from the vehicle (which may include chassis dyno results), there's more information available about how the vehicle is performing. However, because this process is iterative, it also means it can be time consuming for both the end customer and the tuner, because the vehicle needs to have data recorded from it as part of the iterative process. In the context of a “dyno tune”, dyno rates are generally assessed by the hour and can be upwards of $300/hr just for the dyno time. On top of that you have software licensing costs. Most of the commercially available calibration packages charge a per-vehicle license fee, which, in extreme cases can exceed $600 / vehicle (e.g. if ECU unlocking services are required). And, tuners don't work for free – in many cases they charge an hourly rate as well. A full “customized” tune can easily cost upwards of 4-5 times what an off-the-shelf programmer might cost. The biggest drawback to the “customized” tuning process is that there's no common standard of quality – in other words, there are some really good tuners and there are some who are tuners simply by virtue of owning a laptop and the tuning software. There's also the issue of tuners being proficient on one type of vehicle, and the opposite on another. Anybody with a laptop and a few hundred dollars can become a “custom tuner”, and some of these tuners associate their competence with the software they are using as a common brand rather than the actual quality of their end product. The companies producing the calibration software don't really take any action to make a distinction here, but at the same time they cannot enforce a common standard of quality, they're just producing a tool that other people use, and in some cases the tool is incomplete. As anybody who deals in knowledge and information as a trade, it's expected that there's some level of 'mysticism' around how a tuner knows what they do and where they learned their techniques from. Aside from their personal experience, this can come from many places including tuning schools, training materials, online discussion boards, discussions with other tuners, reverse engineering of other tuning products or studying tunes from other tuners. Sourcing knowledge this way without fully understanding the “how” or “why” can allow unknown and potentially undesireable artifacts to get into an end customer's tune. The other issue is that a “customized” tune is completed at a specific point in time, under specific conditions (vehicle, environment, etc). For a customer that stays within a specific locale and only drives their vehicle under similar conditions (e.g. seasons), this may not be an issue, but does the tuner know how your vehicle is going to perform in the middle of winter at sea level if they “custom” tuned it in the middle of summer at 4000 feet altitude? The larger kit manufacturers that provide a calibration with, say, their supercharger kit probably do, but a tuner at a dyno shop probably doesn't. If there are problems with it in different environments, it may be necessary to perform follow-up tuning adjustments which is time consuming, and potentially disruptive to the end customer. Finally, there's no guarantee the software tools being used for this process are complete and provide access to all the constructs in the ECU required to properly calibrate the vehicle. In fact, there's no guarantee even the OE software that runs in the ECU has all of the necessary constructs to properly support the calibration of a heavily modified vehicle. E.g. the software engineers that wrote the ECU software for a naturally aspirated Corvette would not have put much consideration into what would happen if the aftermarket installed a supercharger. TRIFECTA tuning, defined Ok, so we have defined “canned” tuning, and “customized” tuning. Where does TRIFECTA fit on the spectrum? It turns out TRIFECTA products borrow from the advantages of each while offering other advantages that don't come with either type of tuning. Advantage: Pricing TRIFECTA products, in most cases, are priced to be competitive with off-the-shelf “canned” programmers. These programmers are lower cost because the manufacturers of them are not directly subject to the per-vehicle licensing fee like the “customized” tuners are, and there's no tuner looking to monetize the service. They also benefit from economies of scale. TRIFECTA similarly enjoys a low overhead because all of TRIFECTA's flash software was written in-house, is not reliant on any 3rd party, and as such is not subject to expensive licensing fees. Advantage: Ease of Use, little hassle TRIFECTA products are installed using a Windows based laptop combined with a USB cable that interfaces with the vehicle via the OBD-II port. This is also how most “customized” tuning software works as well. The ease of use advantage is that with TRIFECTA, the calibration work is already done. There's no learning curve for how to use a calibration software package, you just install a simple Windows based application, load the calibration, and you're finished. Advantage: Expertise, on your vehicle TRIFECTA doesn't offer tuning products for vehicles they haven't exhaustively calibrated and spent significant amounts of time with. Many other companies in the industry will ask for “R&D vehicles” from the market, or even experiment on customer vehicles as a generally accepted procedure while TRIFECTA makes an enormous investment in having a fleet of vehicles for ongoing campaigns. We share engaging content of these vehicles through the web and social media. Advantage: Support for modifications, small and large TRIFECTA has an aggressive directive to build a knowledge base of support for aftermarket modifications. Again, while retaining an appealing price-point, TRIFECTA can and does also support modifications that, through any other tuning company, would have to be supported through “customized” tuning. Need a tune for that custom aftermarket sheet metal intake for your Chevrolet Cruze? No problem, we've got you covered. Advantage: Tuning products can be “individualized” or “dialed in” if needed Many TRIFECTA products offer an Elite tier. This is a higher priced tier that provides “remote customized” tuning support for parts we may not have an off the shelf calibration for. TRIFECTA's team of calibration engineers has vast experience in virtually every type of modification out there and allows customers to leverage this knowledge through the Elite tier. Advantage: If you do have a problem, we've got you covered TRIFECTA offers products at the price-point of a “canned” tune but provides diagnostic services, knowledge, experience, and capabilities that can rival factory-authorized service centers. In the majority of cases, if there's a vehicle that isn't running correctly, it's because there's a problem with the vehicle (though in some cases software incompatibilities can reveal issues that need to be resolved at the tuning level). That doesn't mean you're out in the cold, though. Regardless of what product tier our customers have, TRIFECTA provides full diagnostic services and support as needed to help track down the issue, whether it's vehicle, software, or tuning related. Advantage: We abuse our cars on the dyno, drive them across the country Can your tuner claim and prove they put several hundred dyno pulls on their Cadillac ATS-V then drove the car across the country through various climates and environments before selling you a product? TRIFECTA can. The aggregation of the data gathered from this type of process makes our products more thorough. Advantage: Common standard of quality Our calibrations are developed by the same engineers, with the same processes and level of experience. When you buy TRIFECTA, you're buying a standard of quality you can't be assured to get from any arbitrary tuner that promotes themselves by saying they use the same tools as other tuners do. Many “customized” tuners learn by tuning other people's vehicles. Is yours the first? Second? TRIFECTA has been in the industry for nearly 15 years (at time of writing). Advantage: Innovation and exclusive features These are some of the exclusive features that TRIFECTA offers that can't be had anywhere else, and in some cases that's because these features don't even exist in the OE software. TRIFECTA approaches performance and reliability from a holistic standpoint and will add exclusive features where it makes sense from a customer demand or reliability standpoint. Driver Selectable Vehicle Modes (“DSVM”) - changes the performance level or drive feel on the fly with the cruise control switch Power-by-Mode (“PBM”) – An extension of DSVM for select platforms with factory drive-mode selectors, we can assign different power levels to each mode, as well as change driving characteristics (pedal feel and shift strategy): e.g. ATS-V Tour: Stock power, stock shifting Sport: Moderate power increase over stock, performance oriented shift strategy Track: Full power, performance oriented shift strategy Advanced Rail Pressure Management (“ARPM”) - Dynamically adjusts airflow limits based on the DI fuel system saturation level 2017+ Transmission Recalibration (“T87A”) – We can recalibrate your “T87A” controlled transmission (8, 9, 10-speed) without removing the TCM, let alone paying for an expensive unlock procedure. Performance AutoStop Mode (“PASM”) – Allows the driver to enable a performance-oriented auto-stop mode which, in most cases, inhibits auto-stop from enabling for improved performance character, when desired (triggered by the cruise control arming button) AutoStop Deletes - A new product line that simply disables the factory “autostop” feature! Introduced as a fuel-savings feature, “autostop” allows the vehicle to shut the engine off when the vehicle is stopped, and quickly restart it when the driver is ready to move the vehicle, but not all vehicle owners feel it works smoothly enough. Advantage: Continuous innovation and improvement “Customized” tuning is largely a one-time deal. You get tuned, that's it. There may be minor adjustments as needed, but there's no real infrastructure in place to give out “mass updates” that make improvements to customers. Because of this, and frankly the lack of a financial aspect, there's little incentive to put a dedicated focus on innovation and improvement. TRIFECTA views continuous innovation and improvement as core tenets of business. The Chevy Cruze launched in late 2010 - at the time of writing that was over 8 years ago. To this day, we still have an active campaign to improve the feature-set of the product and we make these improvements available to every customer. Disadvantage: Can't use commercial tuning software to modify TRIFECTA On the surface, some may feel this is a “vendor lock-in” strategy. That might be the case if we didn't provide a means to uninstall the product and restore the capability of it to be used with other tuning software or OE updates – but we do. At the time of writing, the commercially available tuning software packages require the vehicle to have either completely OE software, or a modified derivative of OE software. A TRIFECTA tuned vehicle is neither, but can easily be restored to OE software using our tools. Disadvantage: TRIFECTA's bar is high for supporting aftermarket modifications While our “remote custom” tuning services give our engineers the tools to tune virtually any build remotely, consideration is given to whether we can do it in a timely manner and smoothly for the end customer. The only thing that's worse than declining to tune a project for a customer is accepting the project (and customer's money), and then not being able to deliver a quality tuning product in a timely manner. We believe expectations need to be set appropriately and being able to deliver quality is more important than selling a calibration to a customer. Disadvantage: TRIFECTA's data logging format is proprietary (like everybody else's) TRIFECTA's flash utility can also generate “data logs” from customer vehicles, but the data is stored in a proprietary format - in the same way other commercial tuning software uses a proprietary format. In fact, it's considered a modern computing security concern to use a proprietary format to protect the authenticity of the information being transmitted. Unlike other software, however, we do not provide a public viewer for this data, and rely on a series of non-public tools to process the log data. Having said that, data logging of a TRIFECTA calibration can still be performed using any tool that supports data logging the vehicle, though, and we can provide recommendations that are compatible with our flash cable for customers that wish to review the data from their vehicle as well. Conclusion We're not here to say that TRIFECTA is a perfect fit for every tuning situation, because we aren't. The goal in this writing is to put some definition around the terms sometimes used to describe our products. On the surface we do look like a “canned tune”. We're priced like one, we provide many of the advantages of one, but we also bring to the table many of the advantages of “customized” tuning. But, in the end, the intersection of these benefits combined with our exclusive features and offerings put TRIFECTA into a class of its own. TRIFECTA: Introducing the big compressor-upgrade turbo available for your Gen1 1.4T. 58mm! Still on track per the above! TRIFECTA: More fuel for your direct-injected engine! Hey @Chris75, the injectors in this post were provided to us by one of our aftermarket partners, and are not publicly available at this time. We look forward to supporting your future plans though! The TRIFECTA Autostop Delete Powertrain Calibration is meant for 100% stock vehicles. No individualizations or support for parts that do not function on factory calibration (if you have such modifications, be sure to check with us prior to placing your order). Includes a TRIFECTA flash loader. Specifications of the TRIFECTA Performance Autostop Delete ECM software reprogramming: -”Autostop” feature permanently disabled -Retains all GM OE diagnostics and ECM functionality -Retains all OE error code reporting and functionality -The TRIFECTA flash loader and Transparency featureset optionally does not increment the ECM write counter or increment entries in the flash history -Return to stock functionality included with flash loader Installation Notes: -Estimated installation time of ~20 minutes Currently supported vehicles are: 2016+ Cadillac ATS 2.0L Turbo 2016+ Cadillac CTS 2.0L Turbo 2017+ Cadillac XT5 3.6L 2017+ Buick Enclave 3.6L 2016+ Buick Encore Sport 1.4L Turbo (LE2) 2016+ Chevrolet Cruze 1.4L Turbo (LE2) 2016-2017 Chevrolet Malibu 1.5L Turbo 2017+ Chevrolet Traverse 3.6L 2018+ Chevrolet Equinox 1.5L Turbo 2018+ Chevrolet Equinox 2.0L Turbo 2017+ GMC Acadia 3.6L 2018+ GMC Terrain 1.5L Turbo 2018+ GMC Terrain 2.0L Turbo with more models to follow... if you don't see your model listed, please Contact Us! Factory size s 45.9mm. We will be sending out the first 58mm kits by the end of Q1 2019. 👍 We're still working on this one, so wheel size hasn't been finalized, but it is most definitely in the works!